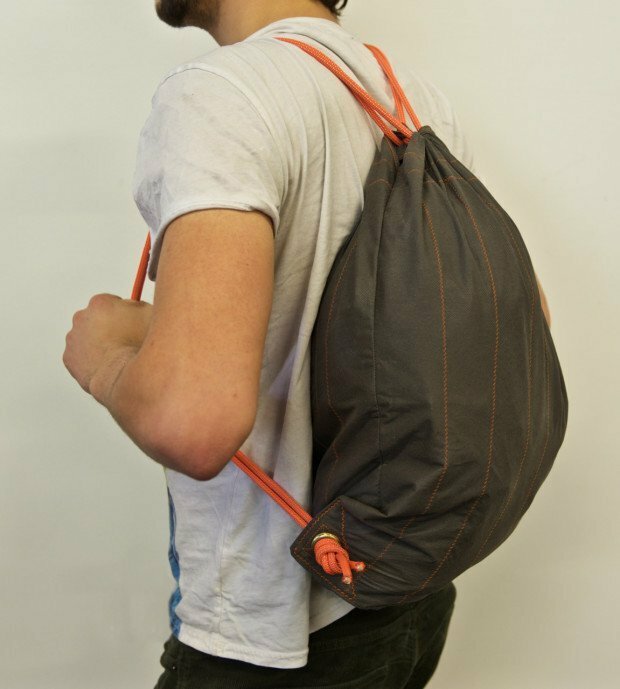 This drawstring bag is the perfect way to carry around your stuff! You can throw it over your shoulder or wear it as a backpack. I loosely based this project on another drawstring bag I had; it broke because the stitching was weak, so I made this version more durable. Also, I used much thicker rope for the drawstrings than I’ve seen on most other bags. This is an aesthetic decision that can be changed according to your taste.